The largest and most affordable Online Men's Bicycles Shop! Men's Bicycle shop the largest and most affordable! Do you want to buy a Men's Bicycle online? Hollandbikeshop.com has the Men's Bicycles you’re looking for. Men's Bicycles have been built the way we know them today since the 19th century: with a horizontal top tube. This triangular construction makes Men's Bicycles extra sturdy. Aside from the horizontal frame tube there's hardly any difference between bicycles for men and women. New production technologies increase the quality of Men's Bicycles and their appearance is becoming more and more appealing. That's part of the reason why Men's Bicycles are suitable for different purposes - for example for cruising, but also as a mode of transportation for commuters. 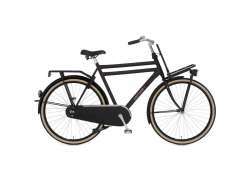 At Hollandbikeshop.com you can find a wide choice of Men's Bicycles by brands like Excelsior, BlackStar, Cortina, Gazelle, Bikkel, Batavus and Victoria. In our wide Men's Bicycle range on Hollandbikeshop.com you can find modern and nostalgic Men's Bikes in various colors, sizes and models, like Men's Bikes made of aluminum, steel and even bamboo. They're equipped with a hand brake or coaster brake and come with or without gears. So you’ll surely find the Men's Bicycle you’re looking for. 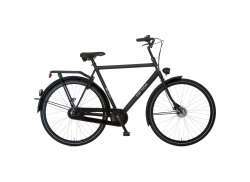 Hollandbikeshop.com is dealer of Men's Bicycles and has a large and affordable range. We also often have Men's Bicycles on sale or in our outlet, so keep an eye on our sale button. The largest and most affordable online Men's Bicycle shop!